Want Peggy to speak to your group or organization? Contact her here. “Survival Finance” Peggy explains basic financial topics including how to create a budget, save enough of an emergency fund, and pay off debt. Length: Adjustable: 15 minutes to one hour. A two-part workshop spaced 30 days apart is also available. “Understanding Your Company Retirement Plan” Peggy reviews how to read your retirement plan statement, how to analyze target date funds, and how to decide if your portfolio matches your risk tolerance. Determining the amount needed to retire is also discussed in general terms. This seminar can be open to the general public or specific to one company plan. If open to the public, participants should bring their retirement plan statements with them. If all participants are in the same plan, Peggy will build the seminar around plan specifics using data from the HR department. Length: Adjustable: One to two hours. “Choosing a Retirement Plan for Your Company”In this workshop designed for small business owners, Peggy summarizes common retirement plan options including SEP, SIMPLE, and 401(k) plans, reviewing advantages and disadvantages for both the business owner and the employees. Length: Two hours is preferable, but one hour is possible. “Investing Basics” Peggy explains different kinds of investment vehicles, including stocks, bonds, and funds. She also provides a risk tolerance form that participants complete during the seminar to help ensure their investment portfolios match their investment goals. “Lowering Your Taxes” Peggy discusses income tax savings strategies including IRA contributions, itemized deductions, and rules around charitable donations. Length: Adjustable: Twenty minutes to one hour. “Individual Retirement Accounts” Peggy reviews the rules around IRAs, including an explanation of traditional, Roth, and nondeductible accounts; penalties; and the risks of “self-directed” IRAs and nontraditional investments. Determining the amount needed to retire is also discussed in general terms. 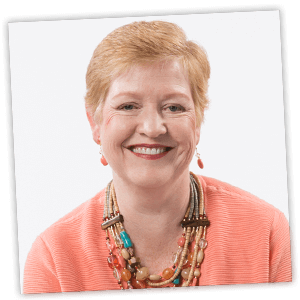 “Making Good Financial Decisions” Peggy talks about common pitfalls that sabotage financial decisions, the risk of not being proactive, and strategies for gaining control of your money. “Legislative Update” Peggy discusses the status of current state and federal legislation designed to protect financial consumers. She also offers criteria for choosing a financial professional, including their willingness to hold ma fiduciary standard. Length: Possibly Adjustable: Twenty minutes to one hour. If you don’t see a topic you like, ask Peggy if she can cover your interest. “How to Use Research in Your Financial Planning Practice” Drawing on years of experience as an academic and a practitioner, Peggy offers workable strategies for offering research-based financial planning. She also provides guidelines on how to recognize the difference between marketing material and real research. CFP® CE is available with sufficient notice. “Pursuing the Rational Client” Peggy explores components of behavioral finance, including offering ideas on sources of irrational behavior, and offers strategies to help clients make better financial decisions. “Ethics in Today’s World” This interactive lecture meets the CERTIFIED FINANCIAL PLANNERTM Board of Standards Ethics CE requirement.